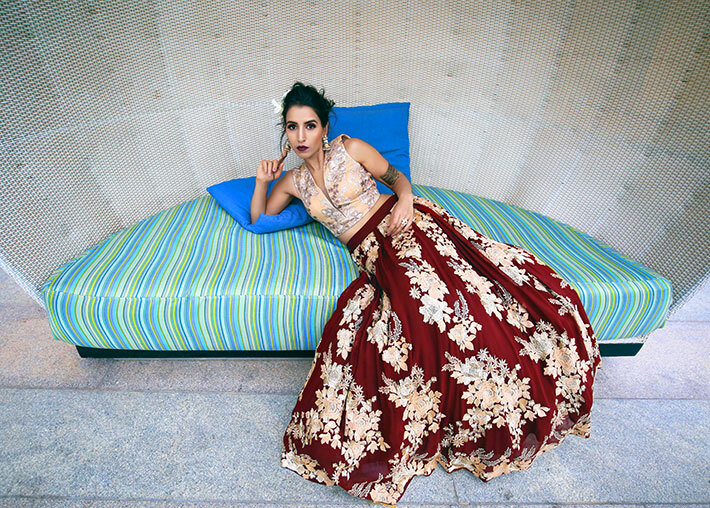 Its your wedding and you wanna channel your personality into your bridal look !! A bride which impersonates your personality, outlook and charm. That's exactly were my thoughts on my wedding day and I really struggled to choose right color, fit & outfit for my special day. So, when I saw this outfit at The Attic Gray, I really appreciated the precision to detailing which goes into making a bridal outfit perfect to make every bride shine through her special day!! The Attic Gray's bridal and festive collection, called Adorn, is an eclectic mix catering to a wide variety of tastes. The collection is for brides, close family members attending the wedding, and for the festive season in general. The outfits-l enghas and gowns, are a mix of alternative bridal and wedding wear outfits. 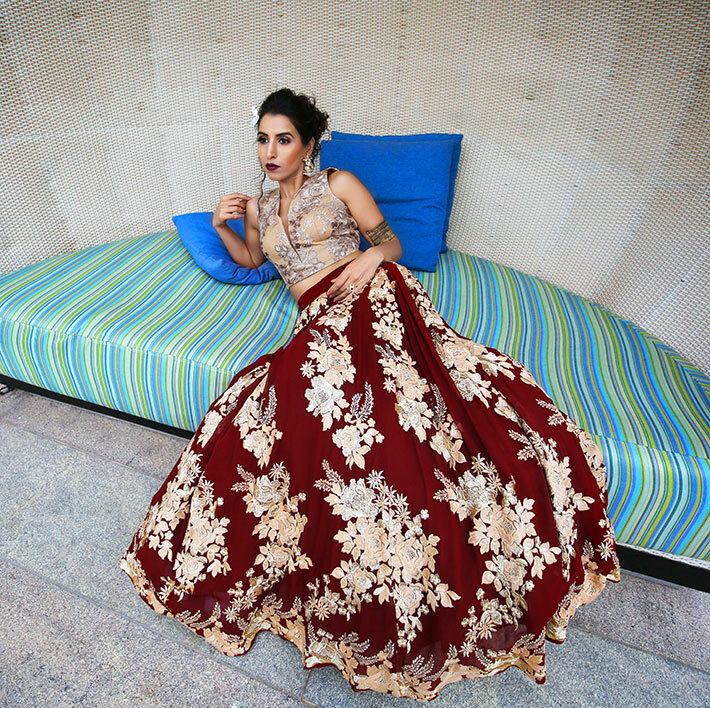 The collection is made up of outfits in rich fabrics like silk and raw silk with intricate hand embroidery. 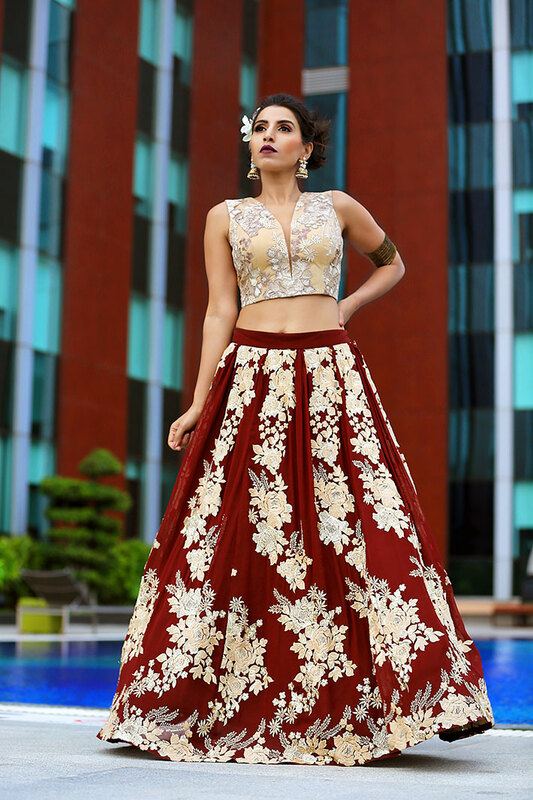 The store also has a wide range of outfits for a mehendi, sangeet and cocktail parties. 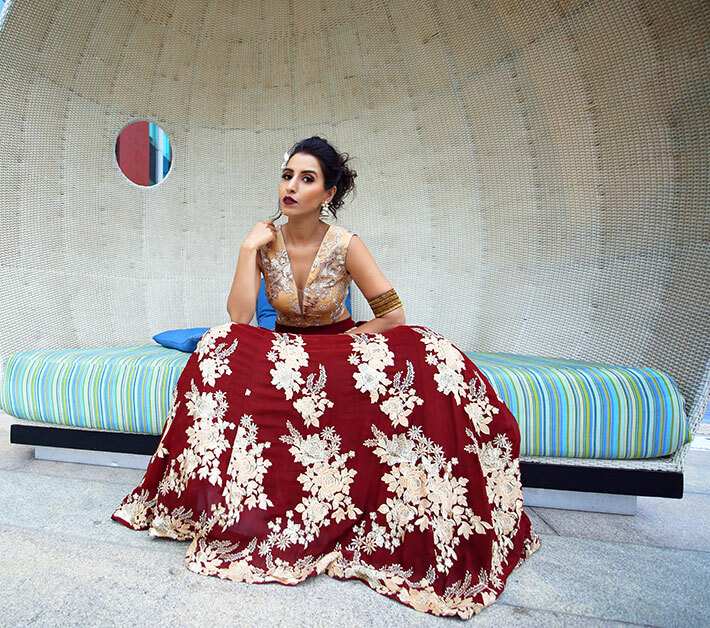 Flowing cape tops with skirts or draped pants, anarkalis, crop tops and dhoti skirts, draped and fishcut gowns and much more. The Attic Gray has got the right dress for your body type.